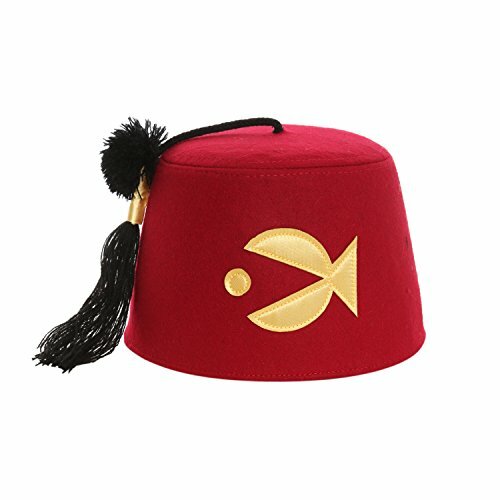 Some say heavy is the head that wears the fez, but I say buy one of these fezzes so I can keep lining my pockets! You get one genuine replica fez designed after the one worn by yours truly, Grunkle Stan! Create your own Mystery Shack or go around entertaining people out of their money like I just did with you! Ignore that last bit. Whatever you want to do, do it. I don't care. I'm not your mother. Just keep away from Gravity Falls. These yokels are mine. Remember, when there's no cops around, anythings legal! 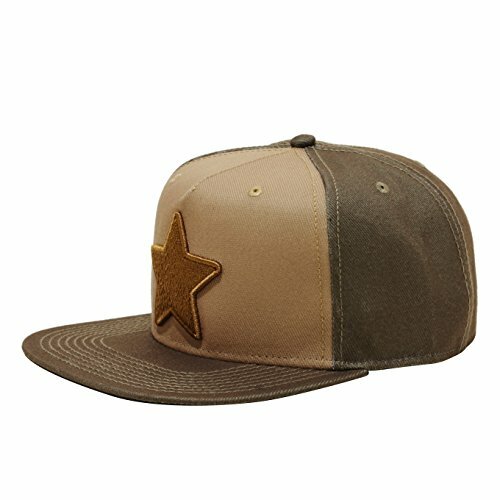 Brown tonal cosplay style hat from Disney's Gravity Falls with an embroidered star logo design on front. 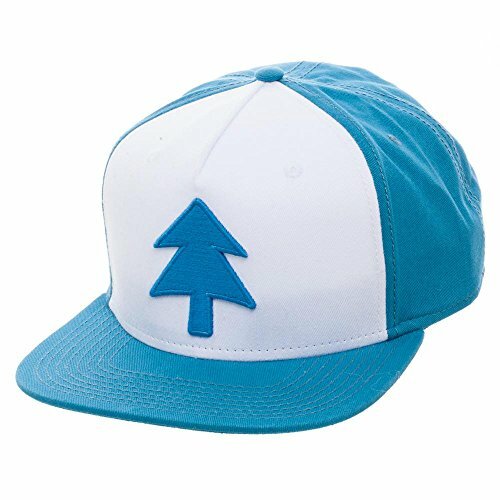 It's just like one worn by Dipper Pines! 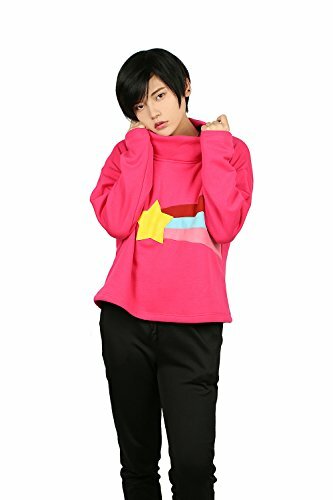 Lady's Mabel Hoodie Deluxe Red High Neck Sweatshirt Gravity CL Costume Character: Mabel Pines Color: Red; Size: Women's size/ Custom-madeIncluding: A hoodieMaterial: PolyesterRed sweet high neck pullover, perfect for women to wear in daily life.Loose and casual style sweatshirt, features the printed yellow star on the chest.Woman's size hoodie, please choose the right size according to the size chart below. 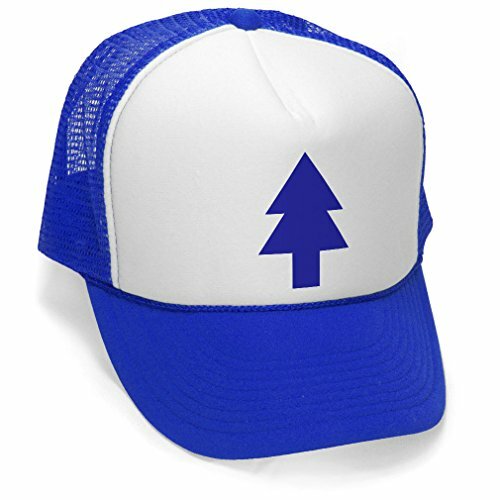 This great hat features the Blue Pine of Dipper's fame. Don't let gravity get you down - fall in love with this great hat! Popular with fans of gravity falls and grunkle stan! Fezzes are cool... but they're not cheap! Actually, we have affordable handmade cosplay fezzes ready for your weird adventures. Our red felt fezzes are fully lined and have a thin elastic strap to keep them on your head when your'e chasing down mysterious creatures in the forest. 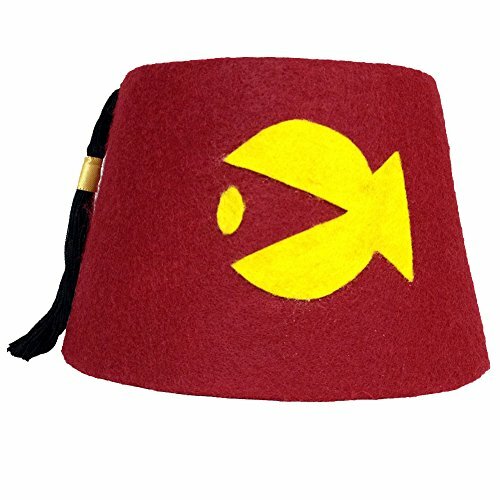 Dress like your favorite character with our Shriners style cosplay fez. Each fez is custom made for you. Exact shades of colors may vary. Sizes may vary slightly. Approximate Measurements Circumference 23in x Height 5in. -- SHIPPING: Standard Shipping = USPS First Class Mail with Tracking. Expedited Shipping = USPS Priority Mail. Disclaimer: This item is a work of fiction. Names, characters, places and incidents are used fictitiously. Any resemblance to actual names or events or locales or persons, living or dead, is entirely coincidental. 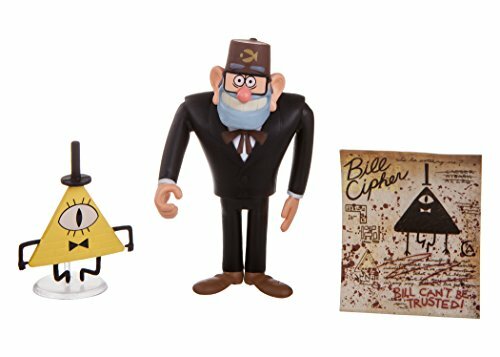 Keep an "eye" on the mystery shack with Grunkle Stan and Bill Cipher. Grunkle Stan stands 3" tall and include Bill Cipher as his accessory. 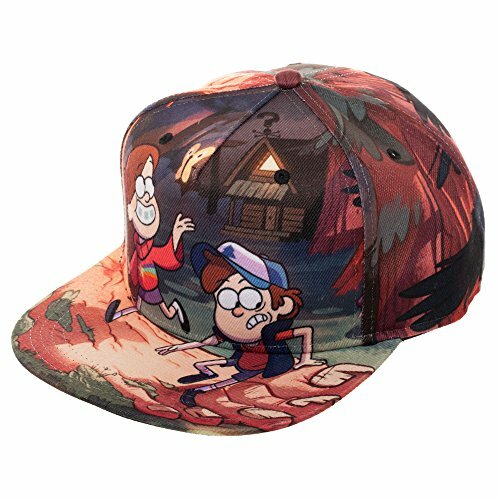 North of normal and just west of weird, this sublimated hat brings the iconic Gravity Falls promotional image to life as a hat!